Highly Customized TRIDENT® Model 6000 Seven Extruder Complex Co-Extrusion System configured with back-to-back REVOLUTION® Sheet Take-Off Units (Patent Pending). 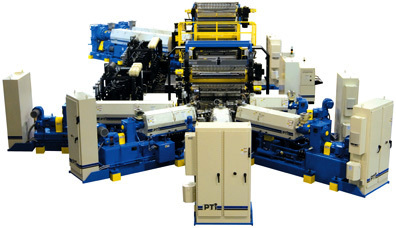 PTi engineering delivers technical solutions to challenging processes including a complex co-extrusion solution for the production of automotive and industrial applications for both thin and thick sheet gauge ranges. 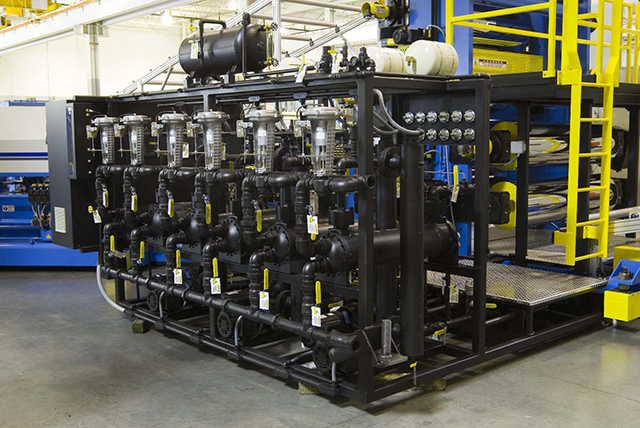 High performance roll temperature control water circuits provides precision process control. 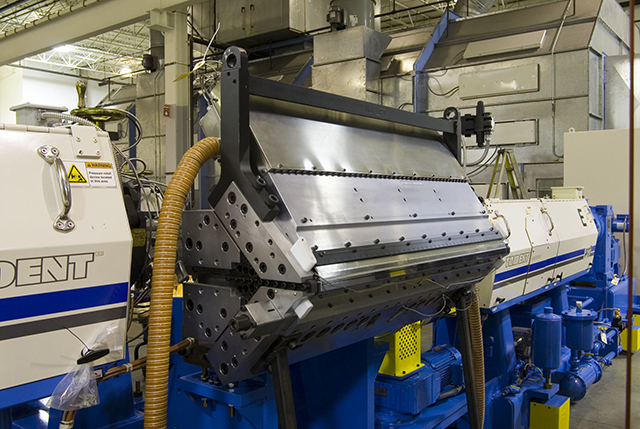 Special multi-manifold sheet die equipped with auto-profile-control (APC) die lip provides precise sheet tolerance capability.